A review of the last decade of activities and achievements at CMCS. Up to once a week in term time CMCS has organised seminars in which postgraduate students and academics at different stages can present their research and then benefit from feedback and discussion. 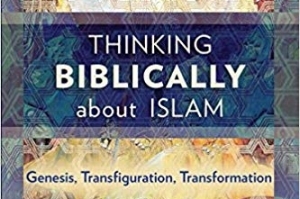 The assortment of topics has been truly diverse, ranging from the Arab spring’s effect on Middle Eastern Christianity to Christian and Muslim concepts of scripture, and from early Muslim views of the Apostle Paul to ideas about nuclear disarmament! Public lectures have included themes around chaplaincy, converts and religious freedom. 2015 saw the launch of our first Summer School for Christian and Muslim theological students in the UK. Over 50 students have now participated in the programme and many of them are still pursuing their relationships with each other through our reunion days and social media. 2019 should see the launch of a Next Step training weekend for our alumni – if we can secure the necessary funding. The CMCS team has been involved in publishing 3 books and several journal articles. More are in preparation. The Centre for Muslim-Christian Studies opened in 2008 with a team of 5 people - Ida Glaser, David Coffey, Martin Whittingham and John and Phyll Chesworth, who all moved to the Oxford area. The Solomon Academic Trust was formed to be the charitable body behind the centre, and a lease was secured on The Song School at St Stephen’s House, a permanent private hall of the University of Oxford which had once been home to the Cowley Fathers’ monastic community. This is the historic context for many of the following activities. CMCS has organised or partnered in some major conferences and symposia over the past 10 years including: a symposium on Muslim views of the Bible at the Examination School, Oxford; a conference on reading the Bible in Islamic context giving rise to an edited volume; and a symposium exploring comparative teaching in religious seminaries in partnership with the Institute of Education, UCL, London. CMCS has organised several joint lectures featuring world-leading Christian and Muslim scholars speaking on issues ranging from the current state of Muslim-Christian relations to why it is important to study history. Speakers have included Sydney Griffith, Mahmoud Ayoub, Colin Chapman, Tariq Ramadan, Gabriel Said-Reynolds, Ataullah Siddiqui and Bishop Anba Angaelos.